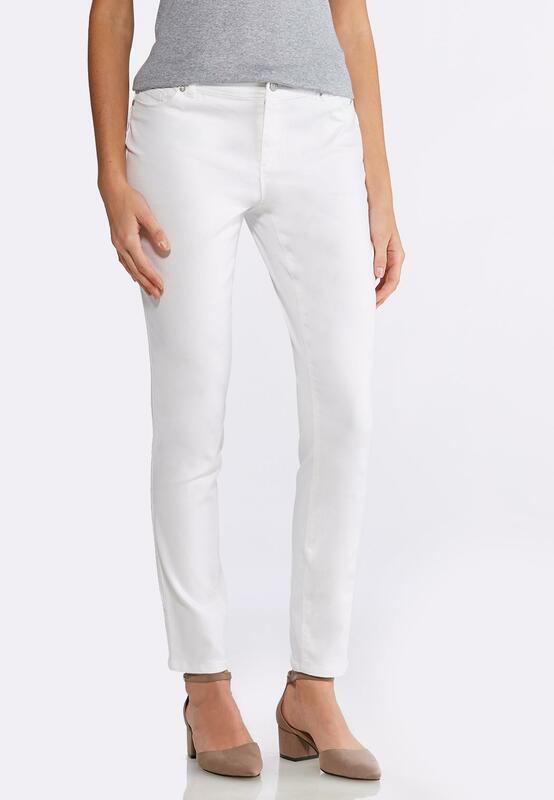 Start the season with a blank slate - these super stretch jeggings are as ideal as they come, featuring a stark white coloration and the perfect fit, from the waist to your ankles. These are a perfect fit and very comfortable. I bought an 8 and the length is perfect for my 54 height. They wash up nicely in the washing machine and I hang to dry. My only suggestion for improvement would be real front pockets rather than fake ones. I do love them though and more colors would be great. White pants can be tricky—too revealing. No complaints on these. Great fit, look good—-not see through and very comfortable. I like the fit and the material of these jeggings. Great for Spring basics and goes with everything.